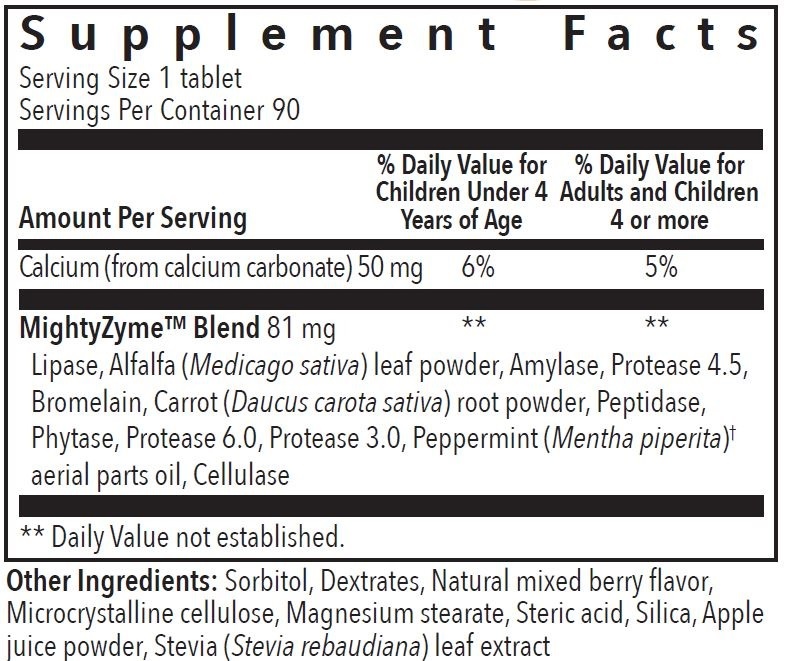 Take 1 tablet, three times daily prior to or with meals.For relief of occassional symptoms including fullness, pressure, bloating, stuffed feeling (commonly referred to as gas), pain and/or minor cramping that may occur after eating.Keep out of reach of children. Keep in a cool, dry place. Do not expose to excessive heat. If pregnant or under a doctor's care, consult your physician.